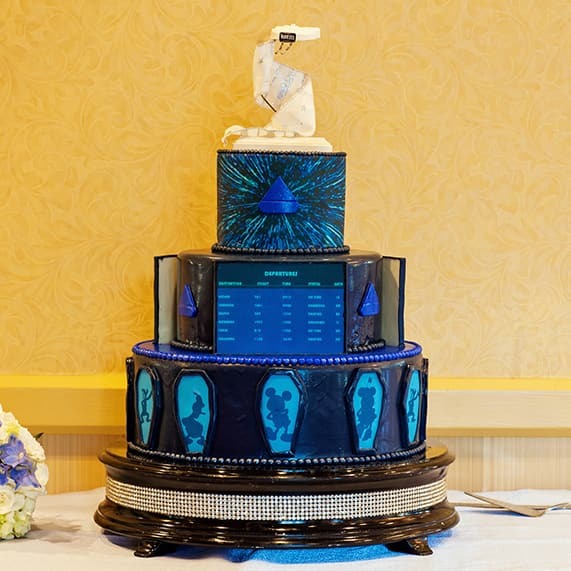 This Star Wars inspired wedding cake is definitely something out of this galaxy! 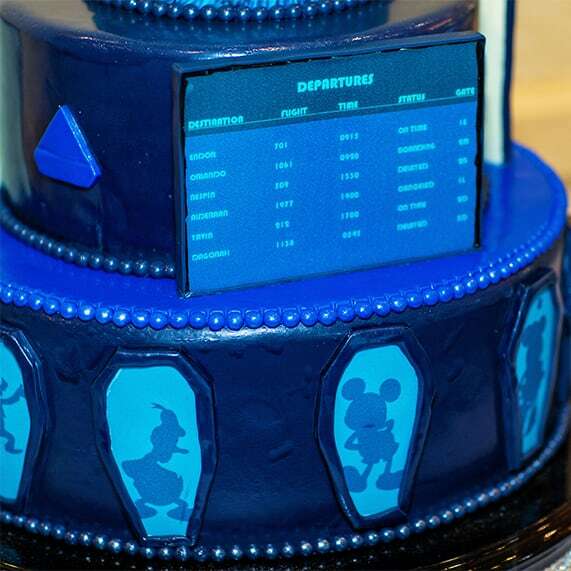 Check your flight gate on the departure sign and hurry up because it looks as if Mickey Mouse and his friends are ready for take off. My absolute favorite touch? 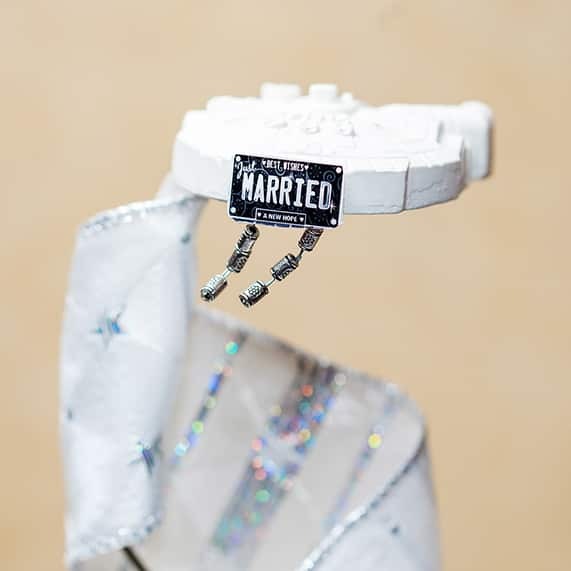 The Millennium Falcon cake topper complete with a "just married" sign and dangling cans.